We certainly were not going to give up riding bicycles. Bicycle riding is our passion. 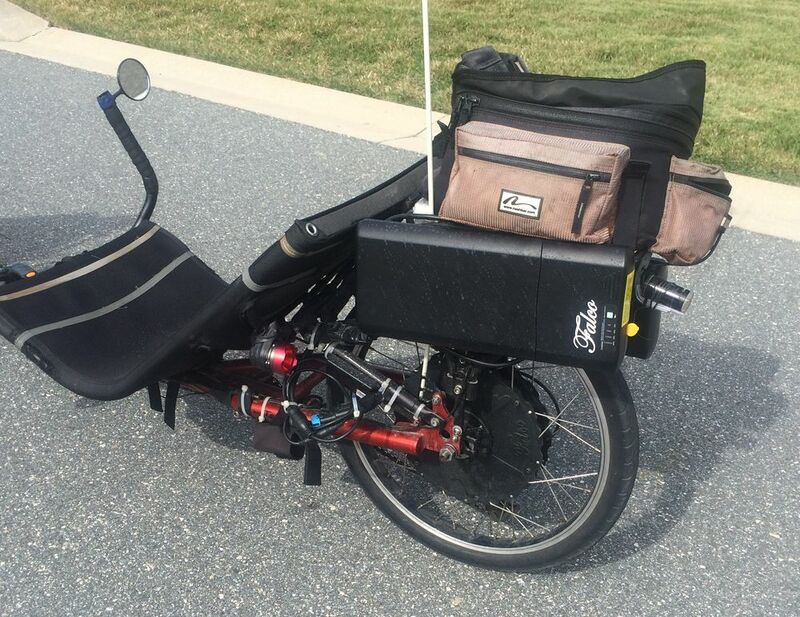 So our friend Larry Black, of Mt Airy Bicycles in Maryland, sold us a recumbent tandem tricycle, which is much safer than our regular upright two-wheeled tandem. It has three wheels (two in front, one in the back), so we cannot fall. We couldn't keep up with our group of tandem riders who average close to 20 miles-per-hour and go much faster than that when they start to sprint. So we spent the next four months riding alone and hating it. When we tried to ride with other serious tandem-riding couples, we would be dropped every time we had to pick up the pace after slowing down. On every hill climb, and on every stop at traffic lights and intersections, we could not increase our speed fast enough and the other couples would pull away from us. We needed extra help whenever we had to accelerate. Even if we were willing to ride alone, we still had a problem. We are serious bicycle riders and understand training. We know that exercise prolongs life and prevents disease and that the more intensely you exercise, the greater the benefits. We know that an intense workout requires us to become short of breath and burn our leg muscles. The recumbent bike offered so much resistance to our pedaling that our legs would burn, but we could not spin the pedals fast enough to become short of breath. You need to train at your "lactate threshold", to be able to compete and to gain maximum health benefits. You can't really become short of breath on a bicycle unless you spin your pedals at a fast pace. On our trike, Diana rides in the front (captain's seat) and controls the steering, brakes and shifting. I sit in the rear (stoker's seat) and control the motor with a throttle. On a tandem trike, the strongest person should sit in the back seat because the person with the strongest legs generates the most power, and the back pedals connect directly to the drive chain. The rider in front loses a lot of power from the very long timing chain that runs from the front pedals back to the rear pedals. • when people riding with us start to pull away from us. The rest of the time the motor stays off. By not having to slow down when the pressure on the pedals increases, we are able to keep a fairly-constant 90 cadence. This puts us at our "lactate threshold", the ideal training level. When we are barely getting enough oxygen to meet our energy needs, we are exercising at the maximum capacity that we can maintain and still not have to slow down or stop. If we go any slower, we will meet all our needs for oxygen comfortably and not gain the maximum training effect. When we exceed our needs for oxygen, we have to slow down to recover. 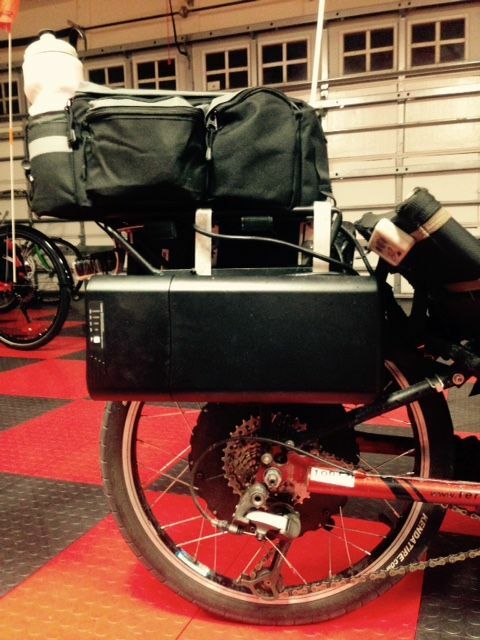 Who Can Benefit from an Electric-Assist Bike? At all other times you should use your own muscles to move your bike.